Today, we're going to be discussing two of the top-selling vehicles in America-the 2018 RAM 1500 and the 2018 Ford F-150! Both are loaded with innovation, options, and capability. They're both loaded with premium luxuries and astounding powertrains, but we have a strong preference for the personality of the 2018 RAM 1500. Check out highlights of both these fantastic half-ton trucks below to find out which would be the perfect option for you! The 2018 RAM 1500 offers the same condense and well-loved lineup of three engines that it has for the past few years. These three engines will appease virtually every buyer thanks to their diversity. The lineup kicks off with the award-winning 3.6L Pentastar V6 engine that charges the 1500 with 305 horsepower and 269 lb-ft of torque. 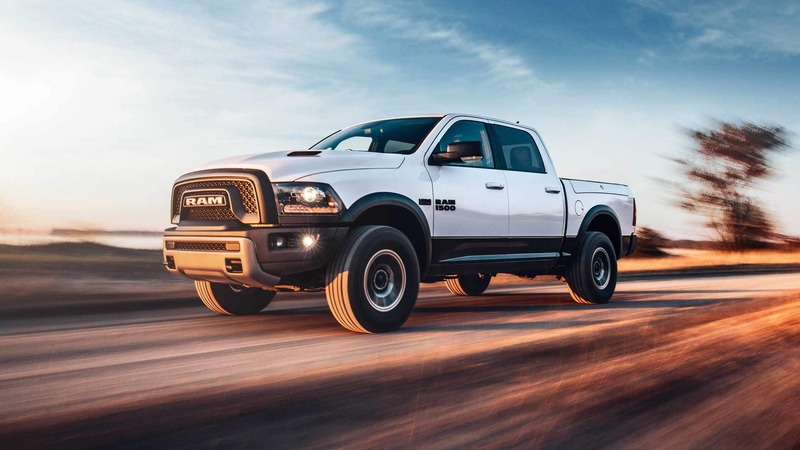 Next up, there's a 3.0L EcoDiesel V6 engine earns the RAM 1500 the title of most fuel-efficient pickup on the market while also providing it with 240 horsepower and 420 lb-ft of torque. The final engine option for the RAM 1500 is a delightful and beefy 5.7L HEMI V8 that cranks out an astonishing 395 horsepower and 410 lb-ft of torque. The V6 engines are equipped with an efficient and capable 8-speed automatic transmission, while V8 models come standard with a 6-speed automatic although they can be paired with the 8-speed automatic as well. 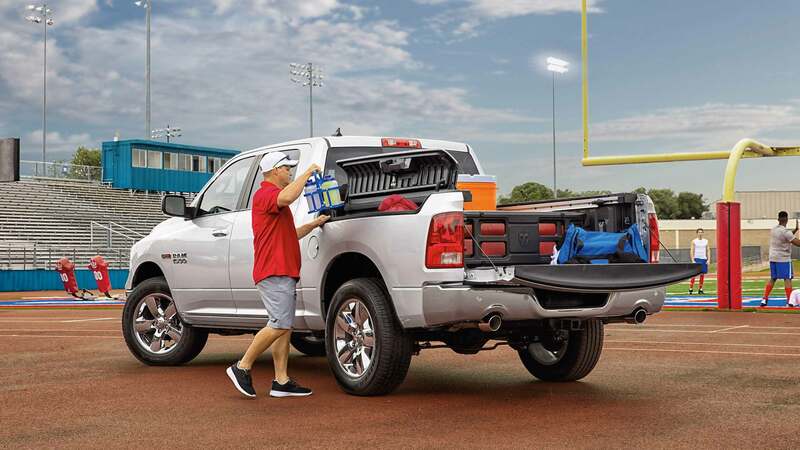 Other important things to note about the RAM 1500s powertrain include its exclusive link coil suspension that may also feature a four-corner air suspension-combined, these make the 1500 have crisp handling and a superb ride quality. The 2018 RAM 1500 also achieves best-in-class aerodynamics with a coefficient drag at only 0.360. There are four engine options for the 2018 Ford F-150. There's a rumor that there is a fifth engine, a diesel option, in the works, although it has not yet been released, leaving the 1500 as your only option if you're hunting for a diesel. The F-150's standard engine is now a 3.3L V6 that powers the truck with 290 horsepower and 265 lb-ft of torque. A jump up the lineup will get you a 2.7L twin-turbo V6 that puts out 325 horsepower and 400 lb-ft of torque. Next in the lineup is a 3.5L twin-turbo V6 that charges the F-150 with 375 horsepower and 470 lb-ft of torque. Finally, there's a 5.0L V8 that releases 395 horsepower and 400 lb-ft of torque. The base 3.3L V6 uses a 6-speed automatic, while all others utilize a 10-speed automatic. 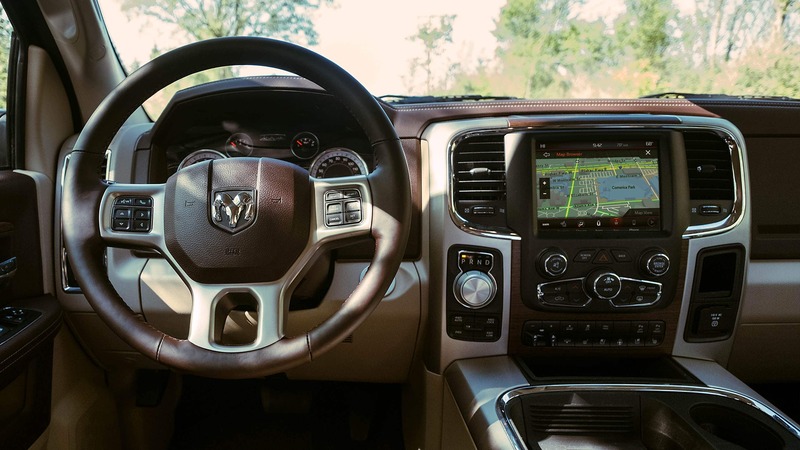 The 2018 RAM 1500 seems to have an unending list of configurations and trim levels, making it easy for buyers to purchase exactly what they want in their truck. There are three cab styles, three bed lengths, and thirteen models. Models include Tradesman, Express, SLT, HFE, Big Horn, Lone Star Silver, Sport, Night, Rebel, Laramie, Laramie Longhorn, Laramie Limited, and Limited Tungsten. Base Tradesman models feature all the basics and beyond with a smooth 6-speaker sound system, cruise control, a tilt steering wheel, a locking tailgate, 17-inch steel wheels, a rearview camera, a seven-pin wiring harness, automatic headlights, a rear backlight, air-conditioning, a spray-in bedliner, and a Class IV receiver hitch. The 2018 Ford F-150 also offers many options, including three cab styles, three bed lengths, and six models. There is a Raptor variant that we will not be discussing. The six models for the F-150 are XL, XLT, Lariat, King Ranch, Platinum, and Limited. Standard equipment for the XL trim includes pre-wired trailer connections, automatic headlights, 17-inch steel wheels, air-conditioning, a 4.2-inch non-touch display, and a four-speaker audio system. Have you determined which of these two incredible trucks is the best fit for you? The 2018 Ford F-150 is a great truck that is wildly successful, but we think that buyers will appreciate RAM's focus on luxury, power, innovation, and reliability more. Contact us today for more information on both of these models and how they compare to competitors!